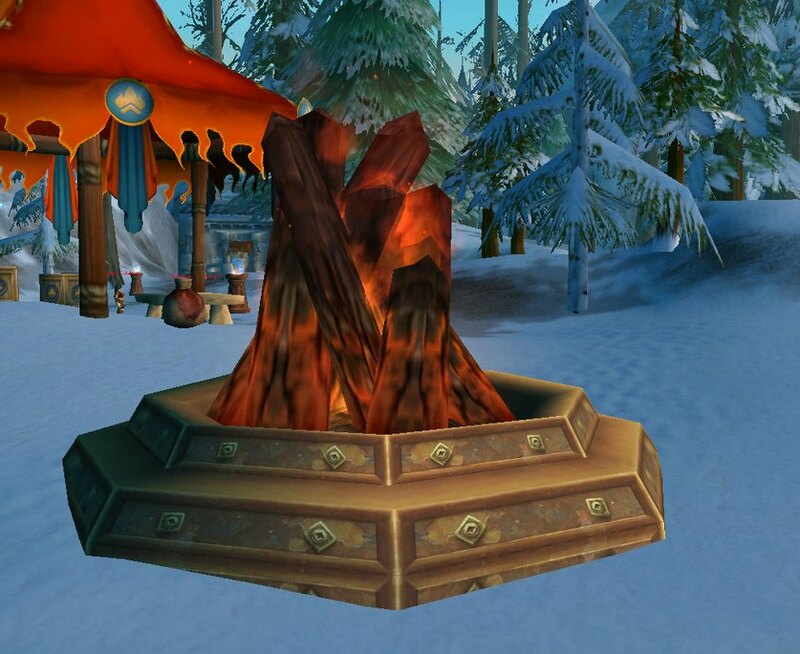 Master of World of Warcraft : Cozy Bonfire toy has collision. Cozy Bonfire toy has collision. This item apparently can be deployed indoors as well, make it useful for both creating a new area to potentially grow glitch out of a map as well as blocking a narrow pathway. It does not disappear if you log out and alts do not share cooldowns, allowing you to deploy a large number of them at once. You can get the toy for 350 burning blossoms from the event vendor.